Now onto the last letter of LESION, the N for number. 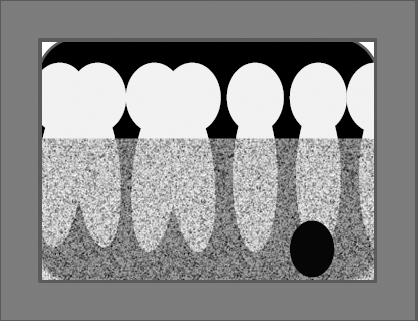 This is identifying the number of radiographic entities present. If there are multiple entities/lesions note the location of those. It is important to note that multiple entities on a radiograph do not necessarily mean that they are the same entity/lesion, but may be two different entities/lesions. Describe both entities/lesions to determine the next step of treatment. 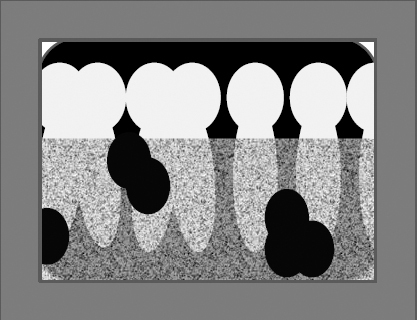 Remember the best way to get better and become more comfortable with describing is to practice on more radiographs. This blog is great! I can’t tell you how refreshing it is to have radiography explained so clearly and concisely! I was wondering if it was possible to give a diagnosis, or even differential diagnosis to the lesions we’re seeing. Especially for the more obscure ones, that last one with the multiple lesion?! What is that! 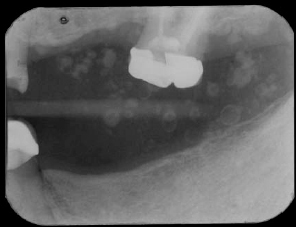 And also earlier there was a radiograph with a linear radio-opacity, what was it? Thanks and I’m glad you are finding the site helpful :). The two entities shown on this post are a cementoblastoma (first case) and osteoma cutis (second case).